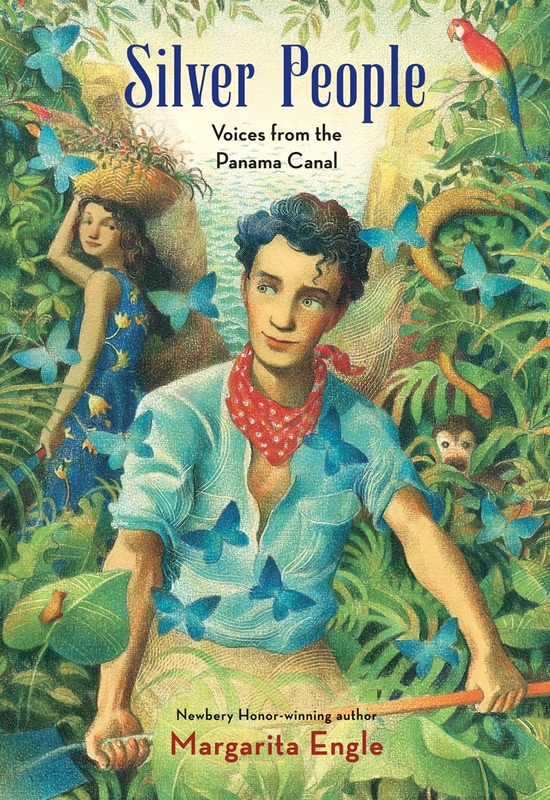 While many younger readers in the United States have learned of the civil rights struggle in the South, the story of the Panama Canal has been taught as a heroic conquest of humans against nature. In a powerful novel in verse narrated from multiple perspectives—including the trees and forest creatures—Margarita Engle’s Silver People challenges both parts of this story. Readers see the racial segregation—the white American engineers paid in gold, and the darker Spanish and Black Jamaicans and other islanders paid in silver—as well as the destruction of the environment and its fatal consequences. Used to fighting with his father, Mateo spars with a Jamaican worker, Henry, who had signed a labor contract to provide money for his younger siblings’ schooling but has discovered that his low wages (the Black workers make only half of what the Spaniards make for the same jobs) aren’t even enough to pay his own expenses. 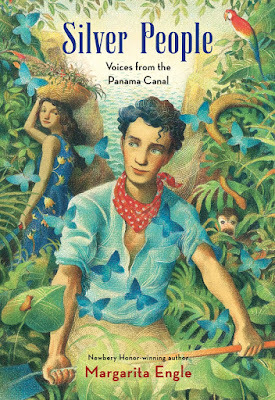 Anita, an Indigenous girl who trades him herbs for paintings, and Augusto, a Puerto Rican engineer and master painter who finds himself demoted from “gold” to “silver” after the bigoted George Goethals takes over the project, help the young Mateo as he struggles to survive. While escape into the forest may be Mateo’s only option—an option made more difficult by his bouts with malaria—the consequences of getting caught trying to escape a contract are horrific. Silver People has wide appeal, from reluctant readers to serious history buffs, and it provides an essential counterpoint to the textbook narrative of the Panama Canal’s construction. At a time when Nicaragua has become the target of another canal-building project (this time initiated by a Chinese enterprise), Engle’s story-poem offers a vision of what will happen and a lesson on the importance of knowing our history. Silver People, which won the 2015 Américas Award, is highly recommended.